A Flush Cut Triangular Carbide Rasp is used for completely clearing out any thin set mortar, hardened adhesives, masonry pieces or grout left behind by a damaged tile. Excellent for clearing out and preparing an area before setting your new replacement tile in place. Bonded carbide chips for a long lasting cutting face. 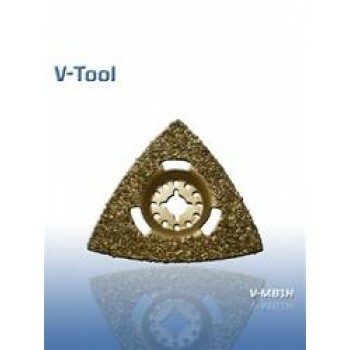 Use the Flush Cut Triangular Carbide Rasp for coarse grinding or rasping, aggressive material removal over larger areas. Wood, hardened adhesives, thin set, masonry.